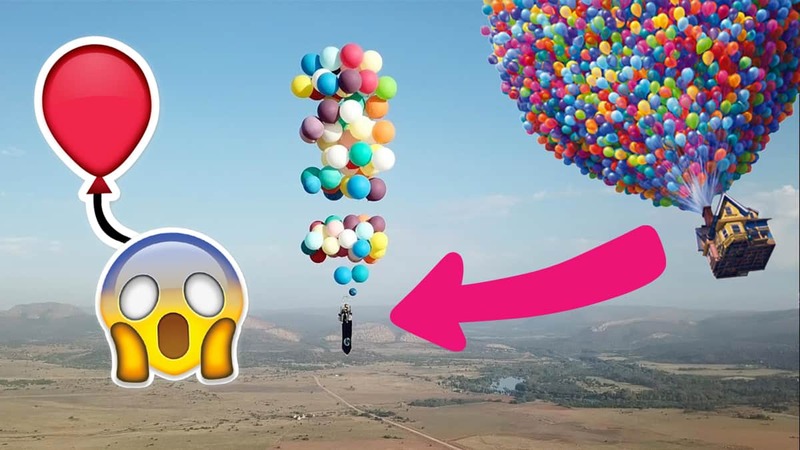 British adventurer straps 100 helium balloons to camping chair, takes 16 mile ride in South Africa! It looked like a famous Disney movie. One British adventurer has soared over South Africa, re-creating a scene from Disney’s movie, Up! Tom Morgan tied over 100 massive helium balloons to a camping chair and took to the skies in late October. His flight lasted two hours, he covered 16 miles, and reached 8,300 feet. In comparison, planes travel at 32,000 ft.
Tom said the experience was ‘unbelievably cool’ but added that he was feeling ‘somewhere between terrified and elated’ whilst he was actually flying. The entire flight went well and Tom landed without anything bad happening. In test flights, high winds tore up the balloons mid-flight. 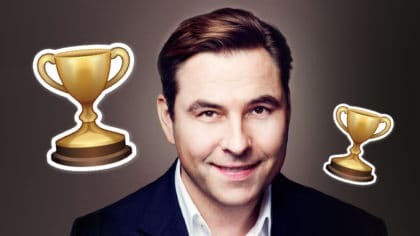 An adventurer from America, Jonathan Trappe, has tried something similar, including a flight across the English Channel. 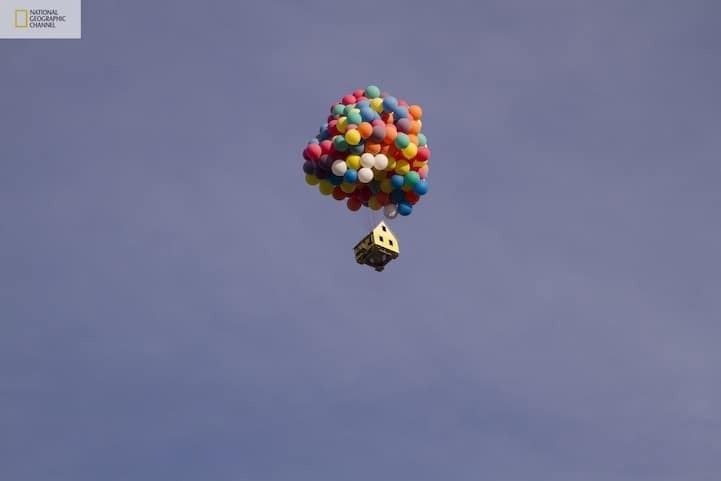 Whilst in 2011, National Geographic reenacted the scene from “Up” by using helium balloons to fly a small house, complete with two brave residents, across North America’s Mojave Desert.